The putter is the most important club in the bag, the only one that’s used on every hole absent the occasional chip-in or hole-out. It’s also the most personal of golf clubs, more dependent on feel and that certain “X” factor than any other stick. But in today’s technology-driven world, what separates just any putter from the perfect putter are the heady combo of craftsmanship and science. That’s what the CMBD Putter brings to the table. In 2016, avid golfer and engineer Charles Martin-Basset was frustrated that he was unable to find a putter that fit perfectly to his golf style and size. 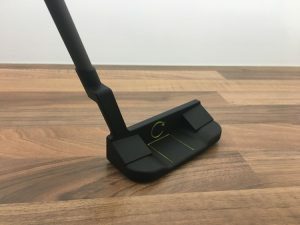 Understanding that the putter is the most important club in a golfer’s bag, he embarked on a mission to design and create the perfect putter which led to the creation of CMBD Custom Putters. 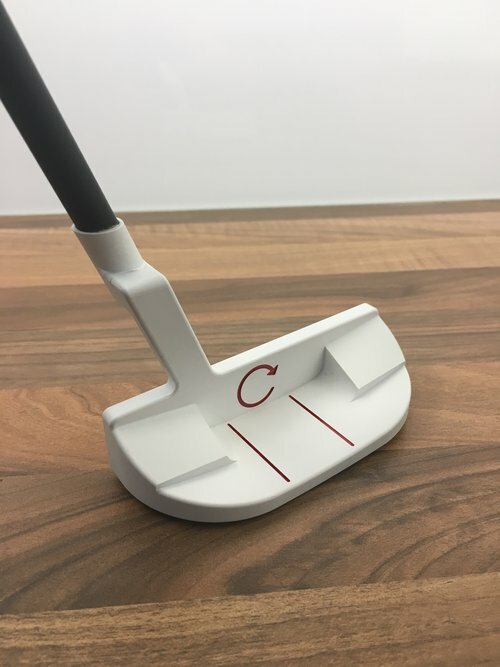 CMBD Customer Putter creates and designs putters that are constructed specifically for a golfer’s natural putting strokes, customized to their style, tailored to their feel, and engineered to roll. All of CMBD Custom Putters are designed with the highest-quality materials, standards and tolerances using only the finest materials. Manufactured by Star Rapid, a low-volume manufacturing and rapid prototyping company, each putter is created with Japanese D2 tool steel, which is a specialty grade of air-hardened, high-carbon steel noted for exceptional toughness. The end result? A perfectly customized putter that’s crafted to improve a golfer’s short game. CMBD Custom Putters was established by British engineer Charles Martin-Bassett, to create putters which are fit to golfer’s natural putting strokes, customized to their style, tailored to their feel and engineered to roll. Each is unique but all are designed and built to the highest manufacturing standards and tolerances using only the finest materials. The team at CMBD uses stainless and high-carbon steel to suit the unique requirements of each design. For the club head they decided to use Japanese D2 tool steel. D2 tool steel is a specialty grade of air-hardened, high-carbon steel noted for exceptional toughness, hardness, dimensional stability and abrasion resistance. Because they’re professional product designers and engineers, CMBD carefully prepared CAD files ready to go straight into production without the need for a design for manufacturing review. They were after a one-off customized golf putter so using Star Rapid prototyping service matched their needs well. Although it may seem simple, the ideal putter is a careful orchestration of features calibrated to control mass distribution to achieve the perfect feel. Every feature of the club head performs an essential function to its overall performance. The hosel is the place where the club shaft will later be mounted. Its location and angle relative to the face defines the center of gravity and how the club feels in the hand. The ultimate goal of this design is to create the perfect “sweet spot” for striking the ball cleanly. Star Rapid milled excess mass out of the cavity behind the face. This area also provides a large targeting zone for aligning the club head along the line of the putt while striking the ball precisely at the center point – the sweet spot. Rounding the sole helps the head to ride on the surface of the grass during a stroke. The sole was designed with a complex, compound curve that is rounded slightly in all directions. It was carefully designed to help prevent the head from digging into the turf during a miss hit. Notice also additional weight was strategically removed from the cutouts in the sole. It’s critical that the center point is precisely located. Star Rapid used precision multi-axis CNC machining to fabricate the entire club head from a single block of D2 steel. CNC machining is fast, accurate, doesn’t require any fixed tooling and is ideal for shaping the complex geometry of the part. Star Rapid used a specialty endmill to make a bullseye point at the exact center along the top line of the head. The “CMBD” name was engraved on the face of the putter with another endmill. Note that we’ve switched off the flow of cutting fluid in this image for clarity. Since D2 steel is very hard, all milling work was done slowly, with carbide cutters and lots of lubrication. Star Rapid made custom holding fixtures which accurately conform to the complex curvature of the body so it’s held firmly during machining. This ensures careful machining as well as safety. These fixtures will sustain incidental tool marks in the course of making the part shape. The hole for the club shaft must be drilled into the hosel to a precise depth. The hosel angle was calibrated by the designer for the particular stance of the golfer, so that in a relaxed position relative to the ball the club will naturally rest flat on the ground. A good putt is a relaxed putt. After Star Rapid milled and measured all features, the entire club head was sandblasted to a soft sheen which reduces glare. It can be left in this state or coated with an Armor coating for even more protection and a choice of finish colors. To get the maximum from your custom putter you must first complete a fitting session through one of the company’s approved fitters so they can analyze your natural putting stroke. Once they have the data from the fitting session they can create a setup that complements your natural putting stroke in order to consistently create ideal impact conditions. Then through discussion begin to get an idea of exactly what you want out of your new custom putter. Once all the information required has been collected we will then design your putter. We do this using the latest 3D computer aided design software and produce high quality drawings to show you exactly what your completed putter will look like. Once you have signed off the design manufacturing, from this point it typically takes 4-8 weeks for your putter to be delivered. You can follow the CMBD putter Instagram and Twitter feeds for updates.